Bidding on the "Crazy Eddie" trademark reached $30,100 on eBay Sunday - not enough to meet the reserve price. Crazy Eddie was the East Coast retail wizard popular for hyperactive commercials with the tag-line "Crazy Eddie - His Prices Are In-saaane!" The ads gained a cult-like following during the 1970s and 1980s, particularly following Dan Akroyd's impersonation of the ads with his "Bassomatic" commercials on the "Saturday Night Live" television program. Trident Growth Fund LP listed the 10-day eBay auction for the "Crazy Eddie" trademark and the crazyeddie.com Internet domain, and related business goodwill, after obtaining it from the "Crazy Eddie" Antar family in 2004. 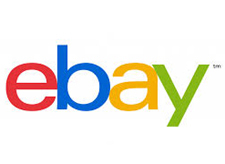 The eBay auction, which had a Buy-It-Now price of $800,000, ended on July 2nd. Because the high bid of $30,100 did not meet the reserve price, there was no winning bidder. Bidders' identities were not revealed.